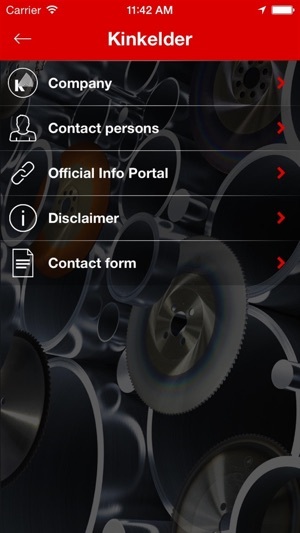 Your app with a wide range of information on Kinkelder saw blades and steel cutting applications. 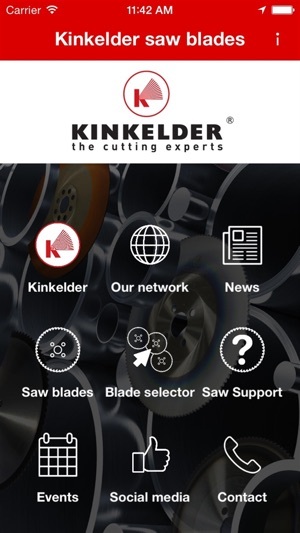 With the Kinkelder saw blade app, you will be able to find information regarding your specific steel cutting applications and the use of Kinkelder saw blades. Kinkelder BV, a family owned business located in the east of the Netherlands, was founded in 1945 by Mr. Piet de Kinkelder. 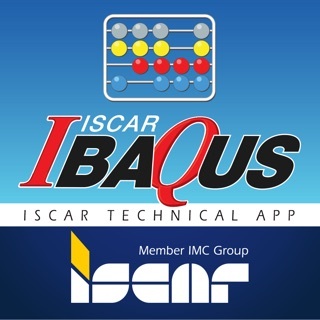 The company was initially focused on the design and production of agricultural spraying equipment. 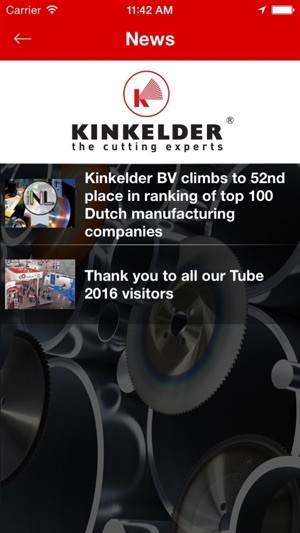 In its history, Kinkelder has gained a wealth of experience in application and manufacturing of circular saw blades for cutting steel. From the very beginning, several innovations have lead us to where we are today: one of the world leaders in circular saw blade technology. Every member of our team shares a passion for technology and understands the technical demands to continuously refine tooling and sawing processes. With access to ‘state of the art’ sawing machinery, our R&D team develops solutions to specific clients’ needs. 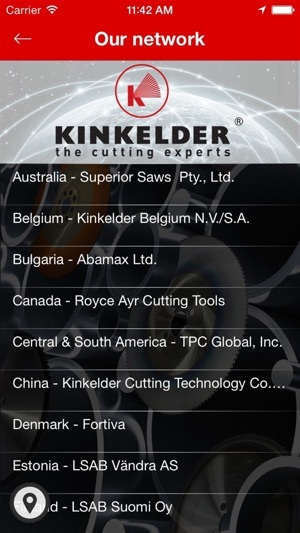 A network of subsidiaries and distributors in nearly 80 countries enables Kinkelder to be close to local markets while maintaining the benefits of the centrally provided technical experience and best practices.